When an acclaimed wedding planner gets married, you’re guaranteed a fun-filled day complete with oh-so-pretty details. 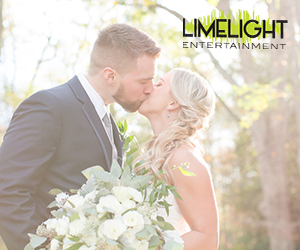 Lucky for us, Organic Moments Photography was there throughout the days events to capture each and every detail, from the bride’s timeless lace gown to the confetti popper photo ops, florals, tablescapes, and sweet table display, you’re in for a real treat today. Read more about this darling duos special day and take a peek at the gallery below. From Organic Moments Photography…Weddings usually do not have themes anymore, but do have specific colors allowing the wedding to remain elegant, but with personality. The Canals’ wedding was able to combine the color palette of burgundy, white and greenery with gold accents and an underlying theme of travel and wine! With a couple that has seen the world, it was only fitting to involve this love of adventure on their special day. The getting ready portion of the day took place at the Biltmore Hotel in Coral Gables. Jess kicked the celebration off with a confetti cannon. David hung out with family and friends to get the day started. Jess and David’s first look was an emotion packed event. You could literally feel the love they have for each other. Globes and old-fashioned cameras decorated throughout is a way the Canals’ incorporated travel into their wedding. Another unique idea were the place cards and table names attached to a wine cork. Something as simple as this brought life into the room. Table numbers are the traditional route, but the Canals’ had something different in mind! They incorporated travel by naming the tables after some of their favorite travel locations such as Greece, Australia, London, India and Cuba. The reception was a celebration of its own! To begin with, the Canals’ did something not common in most weddings. They incorporated three different geometric shapes for the table layout; rectangular, square and circular. This varied concept continued with the incorporation of different centerpieces for each table. The floral arrangements, by Dynamic Destinations, were breathtaking. Along with the traditional wedding cake, done by CB Sweet Designs, the Canals’ had a dessert table and may I say that it looked absolutely delicious! Want to talk about details? The Canals’ incorporated their initials with a personalized monogrammed GOBO, designed by the talented Stephen Peters Loynaz, at the center of the dance floor, which truly completed the room.